You would be justifiably confused attempting to make sense of the Organisation for Economic Co-operation and Development (OECD) progress report on tax havens that emerged from the G20 summit. Has Singapore been “blacklisted” as The Daily Telegraph claims, or is the Straits Times right in saying we are on a “greylist”? The good news for the Singaporean government is that The Daily Telegraph is wrong. The bad news is that while this report buys Singapore time, many uncomfortable questions about our status as a tax haven remain unanswered. The nature of international diplomacy is probably to blame for the confusion. Negotiations on a “blacklist” were contentious because of China’s sensitivity about Hong Kong and Macau appearing on it, as well as disagreements over the criteria for inclusion on the list. Richard Murphy, a columnist with The Guardian, notes that this compromise involved “several shades of grey”. This would be an apt characterization of the category Singapore finds itself in. While it’s clear that the third category of countries is in most danger of triggering sanctions, Singapore has promised to meet the OECD standard for the effective exchange of information through Avoidance of Double Taxation Agreements (DTAs). Now comes the bad news: this might not be enough to guarantee Singapore isn’t labeled a tax haven in the future. Signing of the Standards on DTAs are a red herring, and are unlikely to keep Singapore off the OECD blacklist for long unless accompanied by serious efforts to cooperate with international requests for information on money laundering. The crux of OECD irritation at Singapore is that our banking secrecy laws might have become an obstacle to other governments seeking to retrieve information on their tax evaders laundering money in our jurisdiction. “Sufficient attention is not being paid to pursuing cases involving foreign predicate offences (i.e. 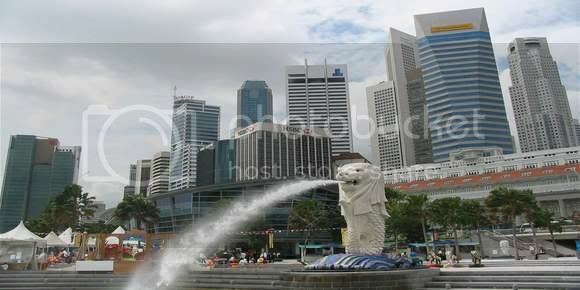 criminal offences that are committed abroad) where the proceeds are being laundered in Singapore. Consequently, there appears to be a low number of prosecutions and convictions for money laundering, given the level of money laundering risk and the size of Singapore’s financial sector”. The Ministry of Finance’s press statement suggests that this culture of secrecy will be maintained as far as it will allow us to comply with OECD standards on DTAs: “Singapore will implement the Standard through our DTAs to assist on bona-fide requests for information rather than information fishing”. What is a DTA and is it enough? But is signing up to standards on the DTA enough to stave off eventual labeling as a tax haven? MOF seems to be implying that it is, by touting the signing of DTAs. A DTA is an agreement between two states to prevent income or profits from international economic activity between their countries being taxed twice. Except for a single article, Article 26, it says nothing of the exchange of information between contracting States. A TIEA, unlike the DTA, specifies in much greater detail rules and procedures on information exchange between States. Understandably, the OECD is more interested in countries signing TIEAs. TIEAs are the international legal tool with which countries can request information from its partner TIEA signatory to disclose information on suspected money launderers. A minimum of 12 TIEAs seems to be the threshold of compliance with OECD standards*. Singapore laws on banking secrecy need to rethought so that a balance can be struck with our desire to cooperate with the international community’s attempts to apprehend money launderers. MOF’s less than subtle attempt to divert the international community’s attention from TIEAs by highlighting its compliance with the apparently less onerous DTAs is unfortunate. Unless such antics stop, we should not be surprised if we are eventually labeled a tax haven. The reference for the requisite number of TIEAs to trigger compliance with OECD standards was cited in a Daily Telegraph article as well as a speech by the Bermudan Minister of Finance in the Parliament of Bermuda. TOC was unable to find independent corroboration of this requirement on the OECD website, and will be writing to the OECD for this verification. Read also: G20 Summit – blacklisted tax havens face sanctions by The Telegraph. The OECD tax havens’ listing of countries.